Download "HFMA HOA Spring 2017"
Download "Download "HFMA HOA Winter 2017""
Download "HFMA HOA Fall 2016"
Download "Summer 2015 HOA HeartBeat Newsletter_FINAL.pdf"
Download "Spring 2015 HOA HeartBeat Newsletter_FINAL.pdf"
Download "Winter 2015 HOA HeartBeat Newsletter_FINAL.pdf"
-Guest commentary from Jeff Goldsmith, PhD. Please consider submitting articles or information for the upcoming Winter newsletter. Deadline for submitted content is December 19, 2014. Download "FINAL HOA Fall 2014 Newsletter.pdf"
Download "Summer 2014 HOA HeartBeat Newsletter.pdf"
Click on the icon to the left, or the link below, to explore the Spring issue! 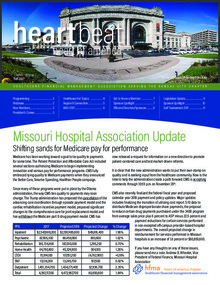 Download "Spring 2014 HOA HeartBeat Newsletter FINAL.pdf"
Download "Winter 2014 Heartbeat Newsletter"
Download "Fall 2013 Heartbeat Newsletter"
Download "Summer 2013 Heartbeat Newsletter"